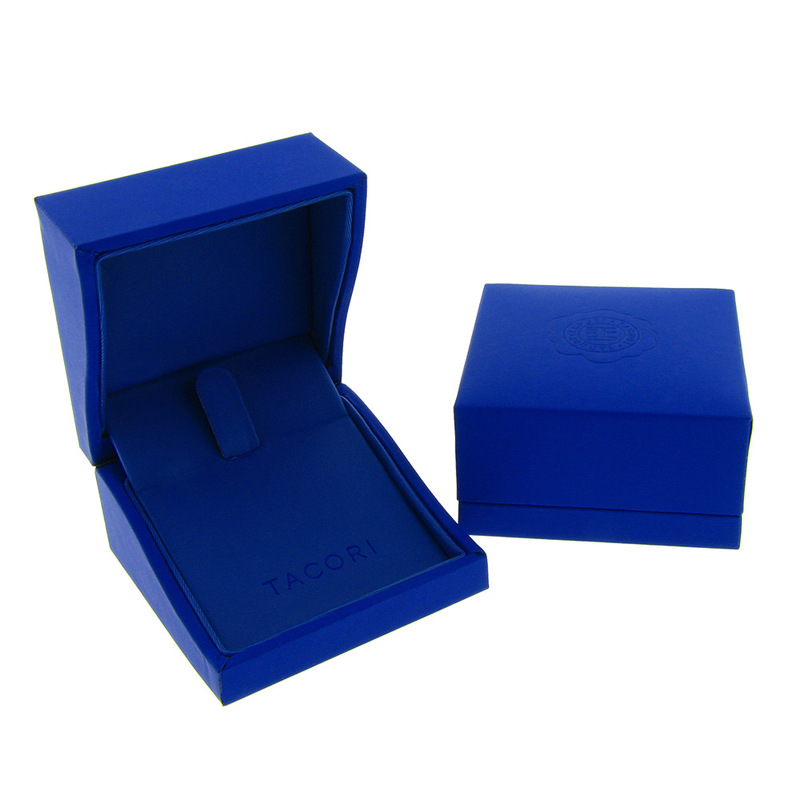 Tacori is known for elevating craftsmanship to an art; our signature platinum and diamond rings fuse old world elegance with modern glamour and style. 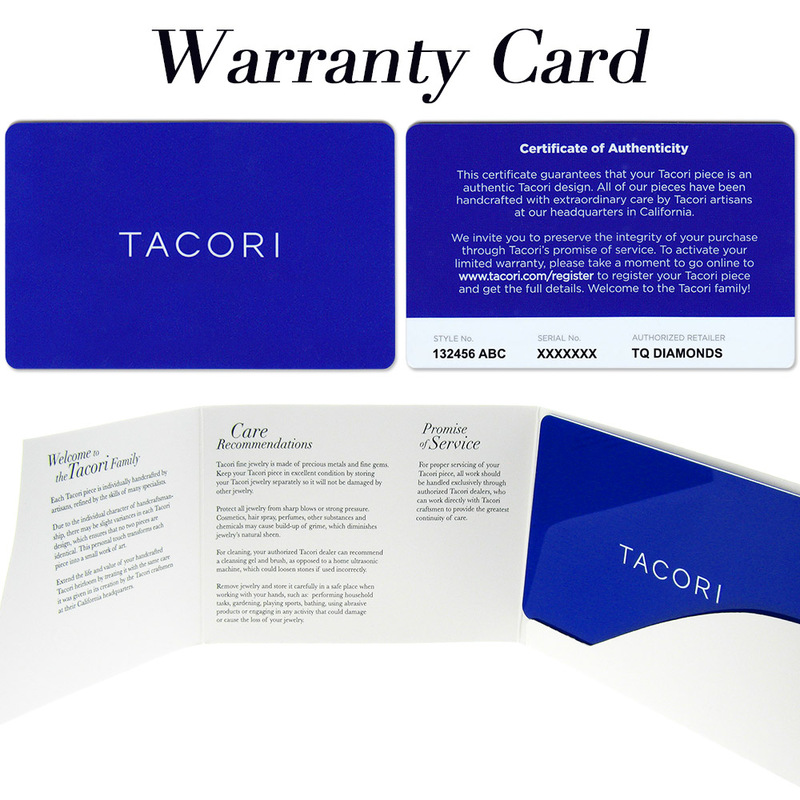 Each Tacori ring is hand-crafted by their expert artisans to fit the individual needs of every customer. 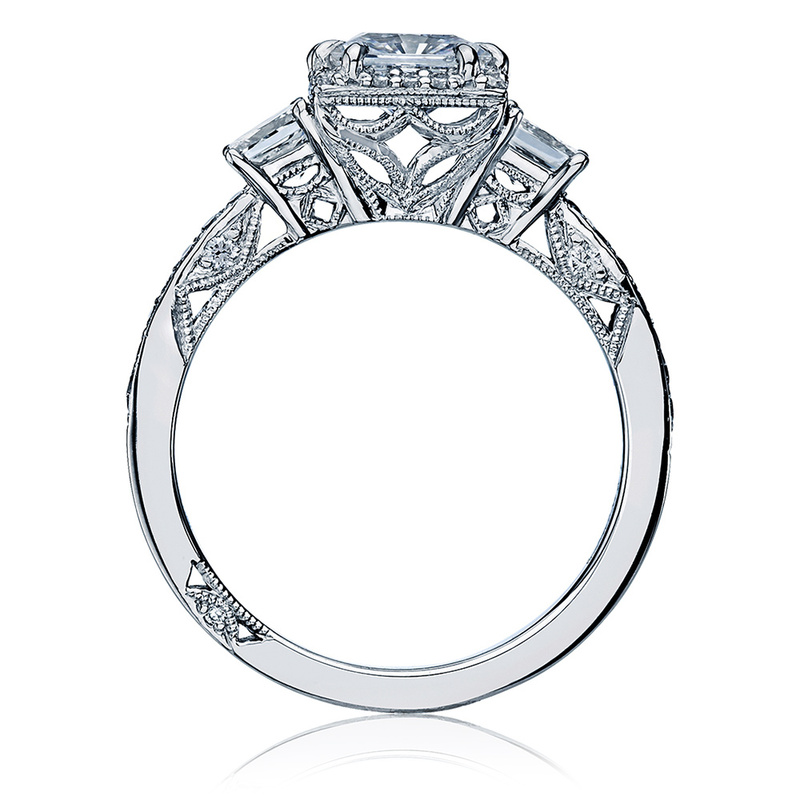 Tacori Dantela 2622PRLGP - Tacori Platinum and Diamond Engagement Ring, A beautiful juxtaposition of modern, yet traditional; classic, yet unconventional. 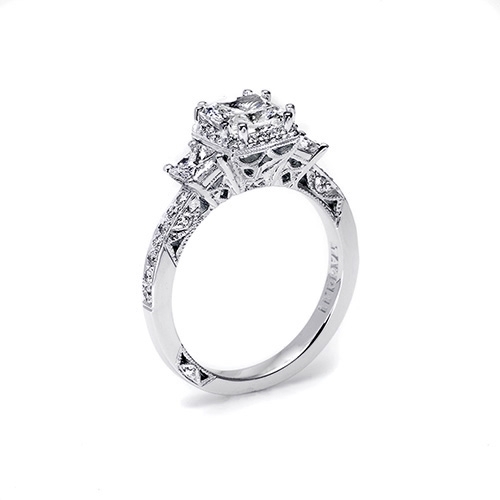 This ring features an princess center stone with diamond enhancers blooming the stone. 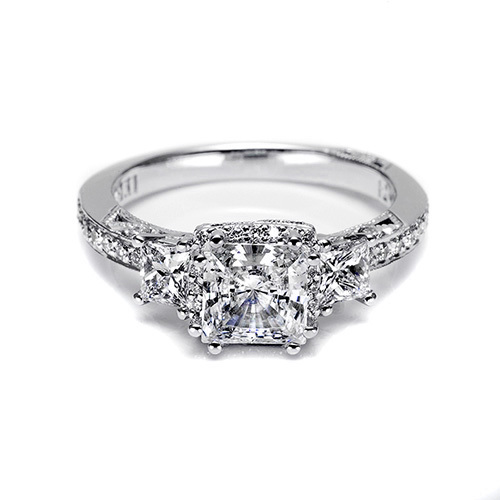 This setting is also available in Petite proportions; with pave shoulders; as a three-stone ring; or with Round, Emerald or Oval centers. If you prefer White or Yellow Gold, click the "Metal" drop down box when placing ring in "Cart"; pricing option will be reflected in choices. $3,720 ranging upwards of $8,790. design. 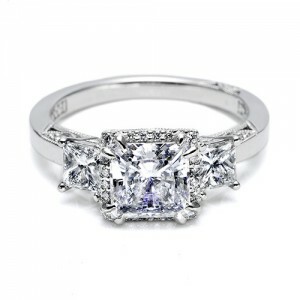 Pricing does not include center stone. 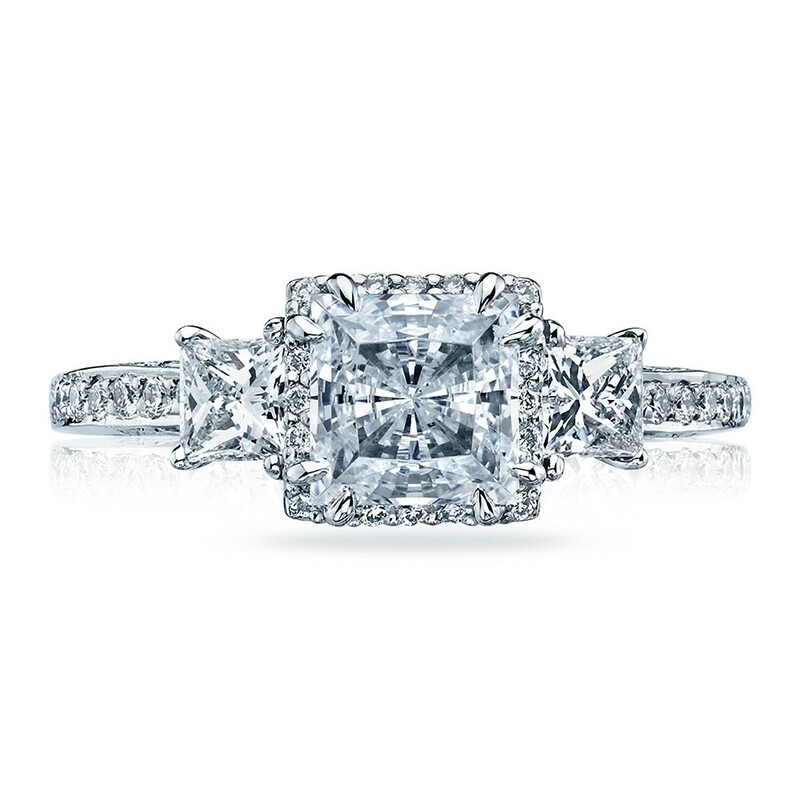 For a brilliant Center Diamond, or a Triple 000, the highest light performing diamonds on record, call TQ Diamonds' expert staff at 608-833-4500. 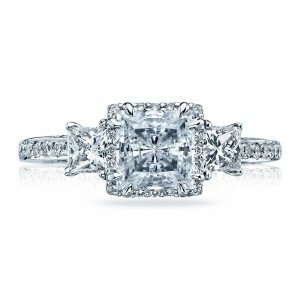 We can create your custom ring using different size diamonds in each Tacori ring that will fit your budget!